A grandmother has bared all to show that “beauty is beyond skin” and that she now embraces her vitiligo. 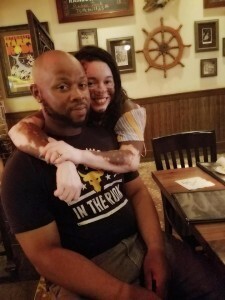 Mum-of-four Iomikoe Johnson, 37, from Louisiana, USA, has now learned to embrace the vitiligo which will one day turn her skin completely white and previously left her suicidal. Iomikoe, a model and business owner, first noticed a tiny spot of white skin under her arm 12 years ago. At first, she assumed that the patch of skin may be cancer – but it then spread to her eyes and genital area. 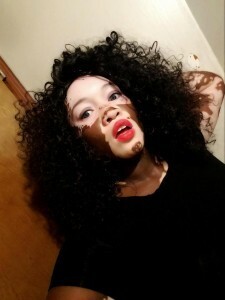 When she was just 25, Iomikoe was left scared that she would be bullied for being “two different colours” after spending her childhood being taunted for having dark skin. Worried Iomikoe even contemplated taking her own life as strangers would stare at her in the streets and some would refuse to shake her hand. At one point, she would spend up to an hour a day on her make-up to cover up her patches and would only wear long sleeved clothes. It wasn’t until her fiancé Phillip told her that he loved her no matter what that she decided to stop hiding behind make-up. She said: “I got vitiligo when I was 25 years old and I’ll never forget it, I was devastated, I felt like my world had been shattered. “It was painful and devastating I even thought of taking my own life many times, but I had kids which kept me going. “People used to look at my hands and not want to touch me and they didn’t want to shake my hand. Iomikoe, who has four children and two grandchildren, says that despite initially being petrified of her vitiligo, she now loves being different and wouldn’t be able to exist without it. The gran’s family have encouraged her to embrace the condition and she’s since become a model. “She has the same skin disease as me and she embraced her beauty so I thought why shouldn’t I do the same. “I woke up one day and I didn’t put on any make-up and since that day I haven’t worn make-up I was tired of people defining what they think is beautiful and it was my job to show them that beauty is beyond skin.